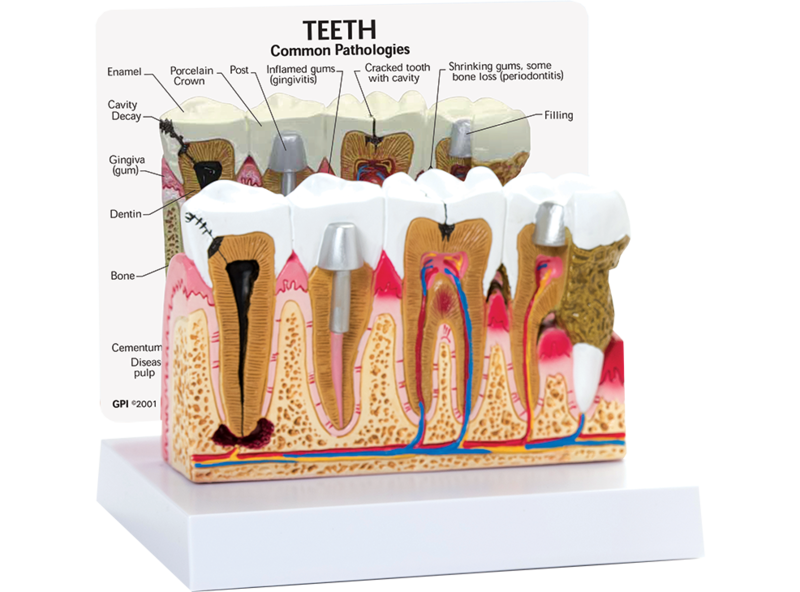 The Diseased Tooth Model is a 3-dimensional representation of 2 molars and 2 bicuspids that makes it easy to show patients common pathologies. This model shows a cracked tooth, a filling, a post in a finished root canal, inflamed gums, diseased pulp, an abscess, cavity decay, and a porcelain crown. The model is approximately 3 1/2"x5 1/2" with a depth of 1 3/4". P556 .